The list may not be long and freaking enough to affect your decision. Besides, most of us are already using VoIP without knowing. But knowing where things can go wrong and what the restrictions are can help you get a better communication experience. Put simply, Quality of Service (QoS) in VoIP is the level of ‘quality’ offered by the VoIP service to place calls in a decent way. QoS varies according to technology. What we call good QoS for VoIP is strict, this can allow you to make a decent call without suffering from delays, weird sounds, noise, and echo. You want to converse just like you would over a landline phone. VoIP has a bit to improve on QoS, but not in all cases. VoIP QoS depends on so many factors: your broadband connection, your hardware, the service provided by your provider, the destination of your call etc. More and more people are enjoying high-quality phone calls using VoIP, but still many users complain of hearing Martian, having to wait a lot before hearing an answer etc. Regular telephone service has provided so good quality that the slightest shortcoming with a VoIP call does not go unnoticed. While it offers more advantages, the VoIP technology proves to be less ‘robust’ than that of PSTN. Data (mainly voice) has to be compressed and transmitted, then decompressed and delivered. All this has to be done is a very short amount of time. If this process takes some milliseconds more (due to slow connection or hardware), the quality of the call suffers. This gives rise to the echo, which is the phenomenon whereby you hear your voice back some milliseconds after you speak. However, if you can be sure of a good broadband connection, high-quality hardware, and a good VoIP service, you can use VoIP without fear. Some service providers do things to prevent echo, but it also depends on your connection and quality of your hardware. Another name for VoIP is Internet Telephony. When you say Internet, you say bandwidth – your broadband connection. We are allowing the term ‘broadband’ here because we assume you do have a broadband Internet connection if you are using or intend to use VoIP. While VoIP does work over a dial-up connection, it is just too slow for VoIP. Since VoIP depends on your broadband connection, if the connection goes down, your phone line goes down as well. The formula is simple: with VoIP, no Internet means no phone. This can be very annoying at home, and catastrophic for your business. If your connection quality is not good, you will have a very bad VoIP experience and you will finally hate the technology, your hardware, your service provider ... and maybe the poor person you talk to! 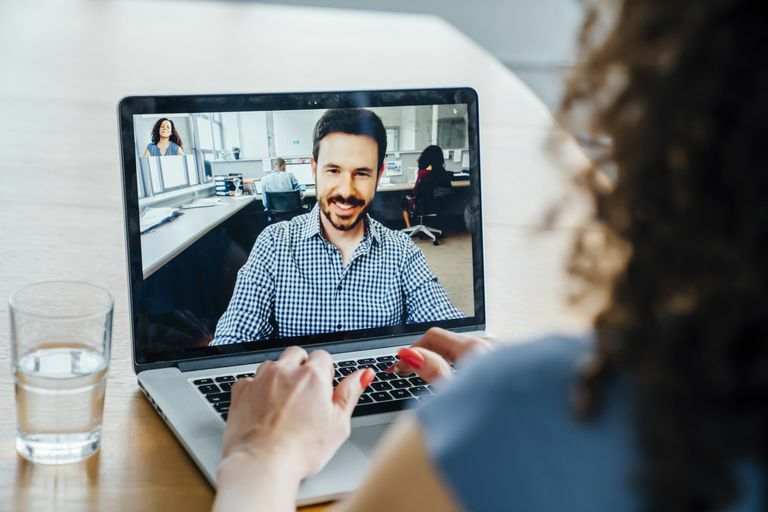 In a corporate context, you will most probably be deploying VoIP over a high-speed broadband connection, which you will also use for other data and communication needs: downloads, server connectivity, chat, email etc. VoIP will finally get only a share of your connection and peak times can leave inadequate bandwidth for it, causing call quality to deteriorate. Since you have multiple users, you won’t know the number of users which will be online at the same time, so it is difficult to provide adequate bandwidth all the time. It is damaging to have your company’s phone line reduced due to poor connection. A good practice is to minimize the use of your Internet connection for other things than VoIP whenever you are talking. You need to plug your modem, router, ATA or other VoIP hardware to the electric power supply for it to work – unlike PSTN phones. If there is a power interruption, you cannot use your phone! Using a UPS (Uninterruptible Power Supply) won’t help beyond a few minutes. VoIP service providers are not bound by regulations to offer emergency 911 calls, so not all of them offer it. Although many companies are making an effort to provide for emergency calls in their service, this issue remains an important deterrent against VoIP. This one is the last in this list, but it is not the least! Security is the main concern with VoIP, as it is with other Internet technologies. The most prominent security issues over VoIP are identity and service theft, viruses and malware, denial of service, spamming, call tampering and phishing attacks. VoIP and Bandwidth - How Much Bandwidth Do I Need for VoIP?